Let me be the first to admit it: in the years between the flagship releases of a beloved franchise, I rarely look into the side games that developers inevitably pump out. I've always seen them as nothing more than a reminder that the franchise isn't dead. I'm sure there are some people out there who enjoy The Legend of Zelda: The Lampshade of No Real Significance and Mario Does the Weekly Shopping, but that's just not my style. 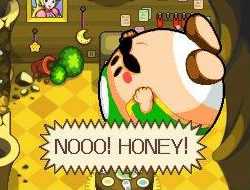 I loved the Mario RPG and Paper Mario series, and the mere idea of playing that sort of game on the DS was a turn-off. RPGs for the DS rarely work out for me. If you have to sit through hour-long cutscenes with no save points in sight, why are you playing on a handheld anyways? So, until now, I didn't think I was missing out. Of course, I was wrong. 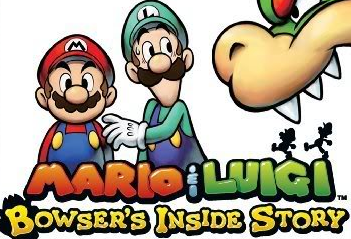 A few months ago, I picked up Mario & Luigi: Bowser's Inside Story (the third game in the Mario&Luigi series) and realized just how wonderful these games can be. The plot is a typical sort of Mario plot – the princess is in another part of Bowser's body – but peppered with a charming and amusing cast of characters, ranging from the stereotypically French Broque Monsieur to the Engrish-speaking villain, Fawful. Fawful himself is basically what makes the game so great. He's the most lovable evil villain to ever urge you to “Stop and sample the sprinklies in life's salad bar.” You's be trolling, Fawful. As the story goes, the Toads of Mushroom Kingdom caught a disfiguring disease called “The Blorbs” from ingesting mushrooms of the magical variety, and only The Bros can save them. Unfortunately, they are inhaled by a temporarily super-powered Bowser, so the first half of the game consists of escaping Bowser's body (and usually helping him get out of a tricky situation) and the second half involves finding the cure for “The Blorbs”. Of course, Mario and Luigi themselves are the darling Italian plumbers that the world loves, and they speak in a gibberish pseudo-Italian, which pairs nicely with Fawful's semi-intelligible Engrish. The graphics and sounds are generally nice; it's a standard look and feel for Nintendo and one that manages to feel timeless even though it's clearly current-gen. If you haven't played a Mario RPG, be advised that the gameplay differs from the classic RPG formula. While battles are turn-based, all fighting relies on timing; your stats mean nothing if you can't attack efficiently and then dodge/counter when your enemy attacks. You can quickly rack up of damage if you can't figure out an enemy's attack pattern in time. Navigating the world isn't difficult, though it requires a bit of puzzle-platforming skill; you'll have to jump, whirl over, dig under, or beat the crap out of obstacles in your way. Bowser is a reluctant and unknowing protagonist in all this, so he has his own unique world-navigation abilities. Some of the puzzle sections get tedious, but the battles remain interesting throughout. My play-through barely scratched the surface of all the side quests; there are many different challenge modes, where you either have to perfect a special attack (which I didn't use much of in normal gameplay anyway) or find the fastest way to kill a certain enemy. The challenges tend to be ... well, challenging, but of course that's entirely the point – and there's enough of them to keep you loading up the cartridge long after you've completed the main storyline. While Bowser's Inside Story doesn't quite have the same replayability as other action-RPGs like the Tales or Kingdom Hearts series, you do get ample entertainment from your first playthrough. It's enough fun that I'm definitely going to have to go back and play the rest of the games in this series.